I practice a daily patience with Oliver by always understanding him and being compassionate of what he is possibly going through. I think we forget to put ourselves in our babies’ shoes; my dad as always said “imagine what they’re going through! their first time at everything. the smells, the sounds, the touch…everything.” If you really think about it, it’s quite overwhelming! I mean, as adults we are easily overwhelmed with new experiences and on a daily. I’m honestly thankful for the moments I felt like I exploded or were just too much because that’s how you learn. I’ll have many more as he’s growing and as the evolution of motherhood continues. Before having a baby I said, “nope Oliver will not have a pacifier” or things like that and I literally don’t know how I’d possibly handle it without one. That doesn’t make me a bad mom, it’s just how it is. My son will probably have crazy tantrums in a supermarket, I hope not but who am I fooling. That doesn’t make me a bad mom. I just exercise grounding and patience daily to be able to handle these moments at their best and I pray that when confronted to situations like these, I’ll be my best self for my son to always teach him how to be a sweet boy. My main mission is for Oliver to feel safe, heard and loved. I truly believe that it starts at day one. “be careful your baby will manipulate you” I think that’s the silliest thing I’ve ever heard. We are a bunch of adults that got so jaded that we think that a baby has learned the capacity to manipulate. I think they’re just expressing a need and want. Nowadays, that’s considered manipulation. No, you’re just a new parent with responsibilities to respond and keep a human being alive. The most natural thing on earth. “Your baby just wants you to pick them up.” So? you stay 9 months in the safest place you ever known and one day we put you in a complete different world and expect babies to perform a certain way. Here’s where I’ve chosen gentle parenting; I truly believe that by making sure my child feels safe, little by little, he’ll feel safe on his own. Step by step. With patience. So far it has worked great with Oliver. “Don’t breastfeed your baby at night, he just wants to soothe.” What’s the problem with soothing a baby? I understand that you have to teach your baby to soothe themselves and it comes naturally by giving them what they need and modifying your approach little by little. This is not army baby camp. “Your baby will never sleep on his own if you co-sleep.” False. If you’re determined to teach your baby healthy sleep habits, he will learn to sleep well. 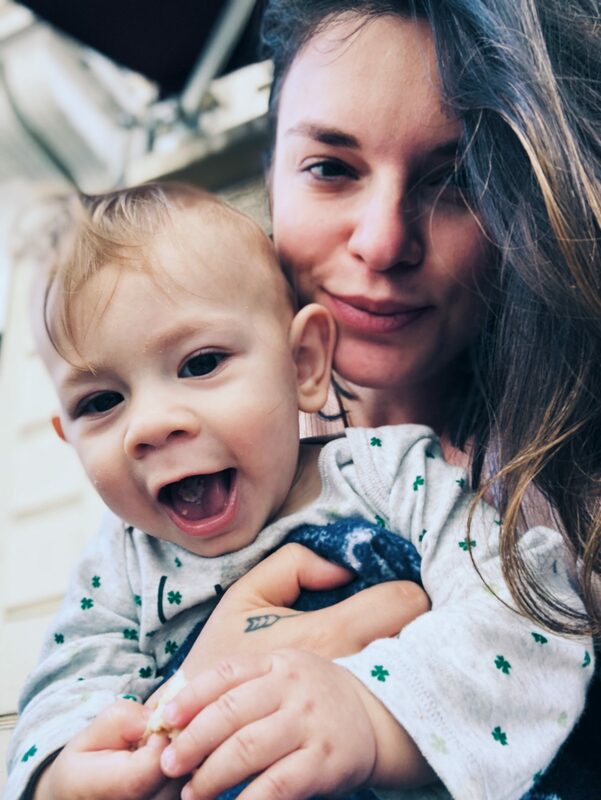 It depends on how your baby wants to start…Oliver couldn’t sleep anywhere else but with me for 7 months and when I had taught him healthy sleep habits and he felt secured which I could clearly see, he had no problem sleeping in his room. at 9 months he was sleeping through the night. No matter how hard it is to raise a child, I think I’m raising myself all over again as well and letting go of what society has taught me when it comes to fears, manipulation, mischievous & some. I’m re-learning what’s important,I’m understanding people better and the true value of loved ones, I’m seeing the hardships in some people’s lives that I had never seen before and appreciating living in the moment so much more. It’s so beautiful to have a chance to be in the presence of such a pure human being. I enjoy every minute of it of truly knowing in my heart that this little being is simply feeling the world at its truest forms and I had forgotten what that meant or how to do so- Oliver is nowhere near manipulating me for more milk; he’s teaching me on how to offer more of it.